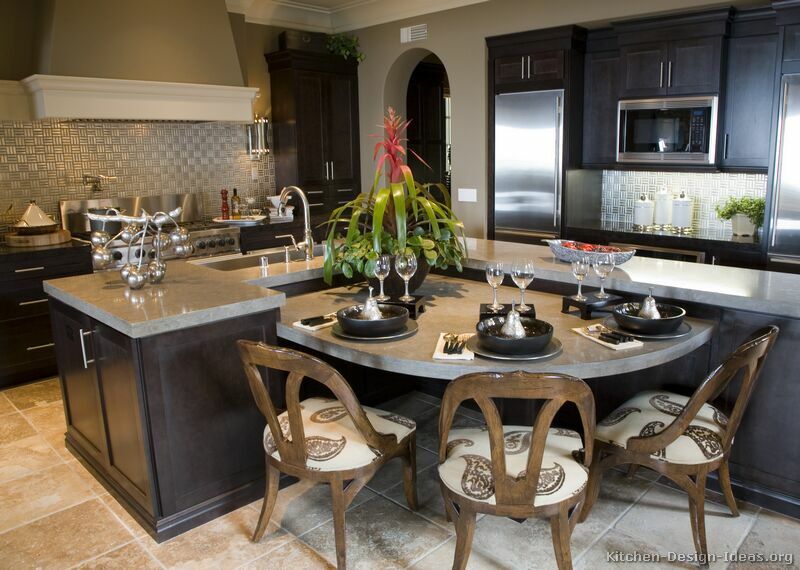 A large, uniquely shaped kitchen island table makes this luxury kitchen both highly functional and visually interesting. Dark espresso shaker cabinets contrast with the gray painted walls and gray quartz countertops, while a ribbed metal tile backsplash glistens with the professional stainless steel appliances. A tasteful mix of rustic and modern materials gives this transitional kitchen design a sharp yet comfortable atmosphere. 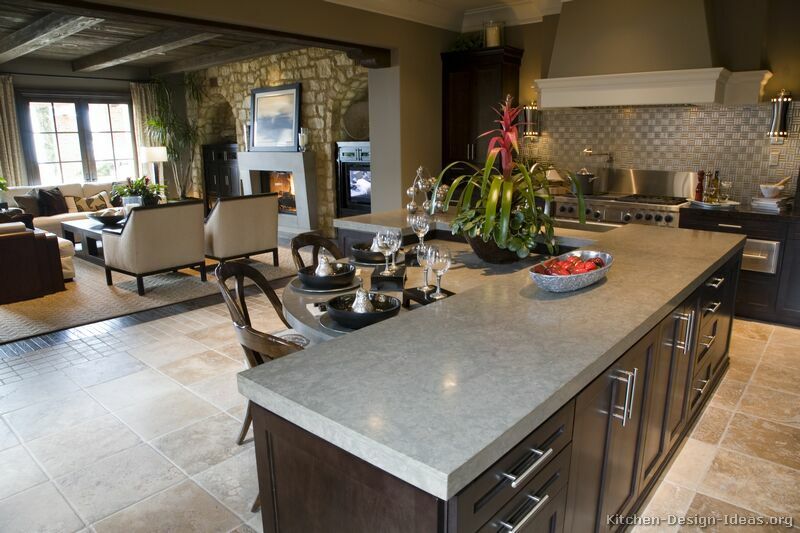 The stainless steel bar pulls, modern light sconces on the tin tile backsplash, and gray quartz countertops (possibly Caesarstone Pebble) provide a contemporary aura, while travertine floors, wood beams, and a stone wall in the living area add warmth and character to this great room kitchen.